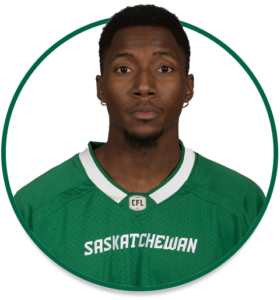 PRO: Signed with the Riders in June, 2017…signed with the Indianapolis Colts as an undrafted free agent in May, 2017. 2017: Started seven regular-season games…had 19 defensive tackles and one fumble recovery. COLLEGE: Spent two seasons at Mississippi College (2015-16)…played 17 collegiate games…registered 36 defensive tackles, seven pass deflections, and two interceptions…played two seasons at Hinds Community College (2013-14)…tallied 30 defensive tackles.